The Rhode Island Supreme Court has thrown out a $5.7 million jury trial award for the agency that runs the Central Landfill in Johnston for a lack of supporting expert witness testimony. One problem was that Resource Recovery trusts were invested in violation of agency policies. OConnell found out that one of the landfill’s commissioners was also serving as a paid board member of the company that managed its trusts. OConnell let the governor know about the problems he had found and a full forensic audit was conducted. The audit revealed that the agency’s employees, vendors, and commissioners had been compromising their ethical obligations to the agency and the public. At trial, a jury awarded Rhode Island Resource Recovery Corporation $5.7 million. 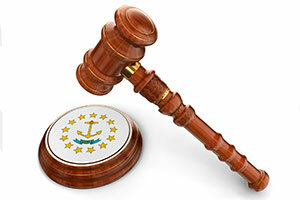 Restivo appealed the award to the Rhode Island Supreme Court. On appeal, the court focused on causation, or whether or not the malpractice claimed in the lawsuit led to the awarded damages. Resource Recovery argued that it didn’t need an expert to explain how Restivo’s malpractice hurt them financially. Resource Recovery argued that a jury could have found that if Restivo did its job, Resource Recovery’s bad actors would have stopped sooner. The court ultimately ruled that Resource Recovery should have provided expert testimony to show how any accounting malpractice by Restivo actually caused the agency to lose money.